ROAD TOWN, Tortola, VI- While most Virgin Islanders believe that at some point the territory will have to go the route of independence from Britain, whether the territory will have the right leadership to take it to that new era is what many are most concerned about. Former Permanent Secretary Julian Willock, who continues to be sought after by radio and television hosts following his popular interview last month with a hostile BBC presenter in which he stood firm in defense of the Virgin Islands financial services sector, thinks the populace is extremely skeptical regarding any talks about autonomy under this National Democratic Party (NDP) government. The NDP continues to be criticised by the Opposition and members of the public for not adhering to the rules of good governance and financial mismanagement. Further, some members of the NDP Government have been accused of being corrupt, self-serving, hypocritical, egotistic and antagonistic. Mr Peart further said the VI needs to “stand up to Britain” and is in a position where it needs to, referring to the pressure being put on the VI to make Beneficial Ownership information public. According to Mr Willock, the VI has stood up to Britain where Beneficial Ownership is concerned, noting Premier Dr The Hon D. Orlando Smith’s position and then that as stated by Mr E. Benito Wheatley who he said did a commendable job in his defense of the Virgin Islands financial services during a BBC interview on May 12, 2016. The Virgin Islands (VI) has declared it is not willing to go the extra mile of making beneficial ownership information public unless there is international regulation in place and that all financial services jurisdictions also comply. According to the former Director of Water and Sewerage Department, Willock, the VI needs all hands on deck to defend the VI Financial Services sector as it is a legitimate and transparent business. “Because what I am being told is if they are behaving like that now where they are ‘under the power of Britain’, could you imagine the reckless behaviour if they were to become independent?" Mr Willock boldly stated, referring to the conduct of the ruling National Democratic Party (NDP). “And we have to change that behaviour because sooner or later we are going to have to discuss self-determination. That is where we have to go. But the fear is who can lead us to the well and who has the credibility to lead us there. That has been the vexing question,” Mr Willock argued. In the meantime, however, Mr Willock said the Virgin Islands has to unite and this must start with the politicians putting aside self-interest and ego. “We cannot allow the British Virgin Islands to sink into any place where we have leaders such as the likes of [Muammar] Gaddafi, the likes of [Adolf] Hitler or the likes of Saddam Hussein. “It can’t always be about someone’s ego, ‘I just came and I want to be Premier’. 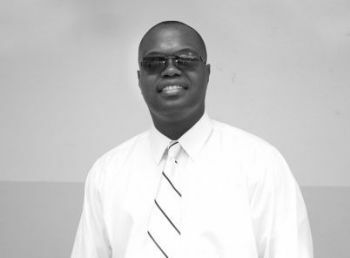 It has to be about country and everybody in the BVI is not for sale,” Mr Willock said. it cant be about then. we living in the now.it is common sense you dont need to be an economist to know this it takes money to run a country .independence comes with a cost. . This young man continues to demonstrate emerging and progressive Leadership, regardless of how the BVI community wants to portray him. The world is changing fast and we are still at the catching up stage in our open-minded, expansive evolution. If we are not growing in perspectives, we are destined to die in our ignorance. This young man is on point in this evolving conversation of self-determination or independence and what is actually being experienced in our country. It is a lack of confidence in our political leaders; in particular, the current group, who have continue to demonstrate their true colours through all the seemingly and possible compounding (fearless) wrongdoings while in the office of the people. On Time! and On Point! Point Blank! I think a more important question is, what would be the "tangible" benefits to the average Virgin Islander if we were to become independent? Keep in mind that it is very unlikely we would still be able to use the US dollar and would likely have to use the EC, exactly how would we benefit from that? 1. We wouldn't "have" to follow British law. We could actually start hanging people again if we wanted to. 2. Our police "could" (in theory) carry guns if our elected government decided that was a good idea. 3. Minister Walwyn could draft new laws governing freedom of the press and freedom of speech. That would be fun! 4. We wouldn't "have" to have a British Governor overseeing our civil service, police department, prison or national security policies anymore. So what else? What is it we see in our future when we are once and for all out from under the thumb of British rule? I suppose we could always hook up with our new buddies (the Chinese) when we need immediate assistance and outside funding, should a natural disaster occur. LOL. When our son (our oldest) left home for the first time, he was thrilled. He was finally "his own man" as he put it. Four months later, he was back on our doorstep asking for a loan. He hadn't realized how hard it was to be "his own man". He learned the hard way that to be his own man (to the standards he had envisioned), he was going to have to go to university. He moved back in with us, got his high school diploma, went away to school in Canada and is just finishing his BA. Independence as a nation takes years and years of fiscal planning and preparation. I agree that one day, we will very likely decide to become independent, but I believe that day is in the very distant future. Our finances are a disaster, we can't manage to provide even the most basic needs for our schools. Government is always and forever playing "roulette" in regards to maintenance of our public infrastructure and that isn't about to change anytime soon. Let's face it, we are a third world nation pretending that we are anything but. Sure we can vote for independence, but then what? For me the answer is simple, my family and I will either move to the USVI or Canada a.s.a.p. We are nowhere near being ready for independence. Please be advised that Independence does not necessarily means that a nation will have to print its own currency or depend on another. In the case of the BVI that used the U.S. dollar, if it was to become independent, it can still continue to use the U.S. dollar if it wishes. Here is a list of some independent countries that uses the U.S. dollar as their legal tender:- Ecuador, East Timor, El Salvador, Marshall Islands, Micronesia, Palau, Panama, Zimbabwe. Further more, people like you might be surprise if the BVI decided to get its own currency, that it might actually be stable and even stronger than the U.S. dollar. The Cayman Island dollar is one good example as to how this can be. Have respect for the EC for it is a very stable currency. Even if the BVI decides to adopt it, the value of one's paycheck will remain stable and essentially the same. (instead of being pain $2000 USD a month, one will be paid $5,400 EC a month for example). True, it is call dollarization. The US dollar is one of the legal tenders used in Zimbabwe. The use of the US dollar is not automatic though, it has to be agreed and with the pressure the US has on OTs right now, we should question going back to any negotiating table as regards that issue. Also, Cayman Islands has a stock exchange and the BVI does not have one. We have lots to do before we can get there but starting the talk is good. I marvel at us. We cannot be happy with our leaders running a dependent territory and we think the solution is to give them an independent one. How about focusing on an education revolution for the nest 10 to 15 years, see if our mindset is ready for independence then and proceed from there. Right now, mentally, as a territory, we are not even close to being there. one must stand up to bullies. if they don't, the bullies will take more and more. any particulars any situation. Yes you have to stand up to any bully. When the bully see that you are not taking the S%%t anymore and mean business, they will back down. My mother always say bullies are cowards because they pick on the weak. Keep talking. The people need to know. Sell your property to how? Could u imagine an independenant BVI with Myron or Frazer as Premier give me ah break? smh. No To Independence for as horrible as John Duncan is I don't feel safer with my own. with this crowd and Independence we will all feel humiliated and angry. Even if there was a vote for independence tomorrow, it would take years to achieve the full cutting of the apron strings. By then probably none of our present politicians, or their immediate predecessors, will be in power. So it is pointless thinking what it would be like under our present government. Julian made a reasoned argument for independence down the road. 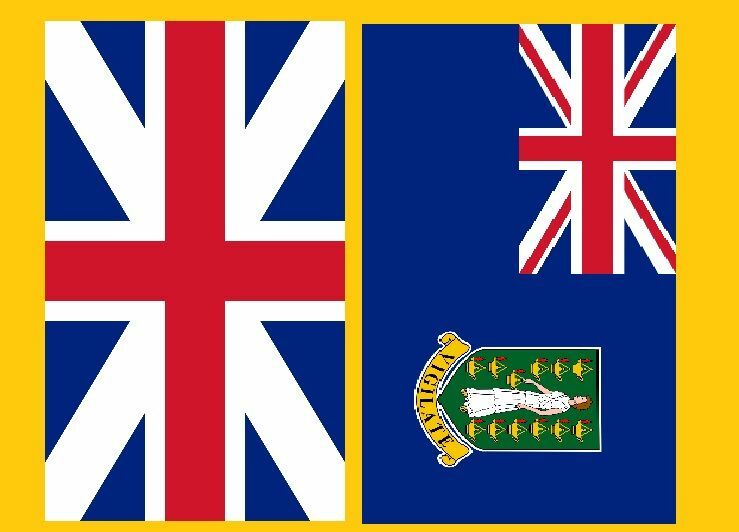 However, IMO, independence does not strike fear in the hearts of Virgin Islanders. It is caution, concern and a strong dose of reality. Virgin Islanders as other people are entitled to self-determination(independence). The VI can pursue independence tomorrow and the UK probably will enthusiastically grant it. Nonetheless, the VI is no way close to going independence at this juncture. The VI is a small 59 square miles, resource-poor archipelago of 36 plus islands, islets and rocks. As other SIDS (Small Islands Developing States), the VI small size and geographical location comes with many disadvantages and vulnerabilities. These disadvantages and vulnerabilities include 1) proneness to natural disasters (hurricanes, earthquakes), 2) high import/low export of goods, 3)small domestic market with limited ability to influence prices, 4)limited opportunities for economies of scale, 5) long distance from markets, 6)high transportation, energy and telecommunications cost,7) small population equates to high cost of governing, 8) narrow economic base, 9) heavy dependence on government for employment( direct, contract), 10)environmental degradation, 11)impact of rising sea levels (climate change)(see Kiribati, formally Gilbert Islands), high infrastructure cost......etc. Further, the VI lacks the natural resources to develop either a 1)primary or 2)a secondary economy. Its economy is service based with tourism and financial serves being the mainstay. But these two industries are highly fragile. Independence cannot and should not be based on two fragile industries. Ok. If the VI is not ready for independence what should it be doing? On the road to independence, which may be way out on the horizon, the BVI should 1)strengthen and deepen its governing structure, 2) diversify its economy, 3) invest effectively in human capital, 4) invest, maintain and operate a sound world class infrastructure system, 5) provide accessible and affordable healthcare, 6)build a world class educational system (become a learning nation), 7)protect and preserve environmental resources, 8) pursue more internal self governing control from the UK ( civil service, RVIPF), 9) become part of a regional unification initiative......etc. What does independence cost? Moreover, most of the VI regional sister countries (Anglophone) are independent. Jamaica started the independence parade on 06 August 1962 followed by T&T, Guyana, Barbados .........etc. The VI should look at the experiences of its sister countries before joining the parade. Independence comes with a price; it means that the VI must be able to support itself for the long haul. Currently, the UK provides support for external affairs and defence. Furthermore, its umbrella provides stability for both tourism and financial services. In any event, independence should entail a referendum as Scotland did. Ditto. Serious food/talk for thought and its free. No overprice consultant fee. Nice pot of peas soup with pig tail, dumpling, sweet potato, pumpkin, black eye peas, tannia......etc this be. This is more like a stand alone commentary than a blog. This could be an outline for a party platform. With the increasing focus on and highlighting of the disadvantages and vulnerabilities associated with the BVI small size, you are bringing an awareness and a reality front and centre. The reality is that the VI has some weaknesses and threats. But we must focus on our strengths and opportunities as we plod our way forward. Cuz, you gone too deep. Keep it simple st.......d (KISS). Independence keep popping up all over the place. We need to have a forum at HLSCC to discuss the pros and cons of independence. In a nutshell, independence is somewhat similiar to one leaving one's parent home. On one's own, one has to pay mortgage/rent, water bill, sewage bill, electricity bill, phone bill, cable bill, buy appliances, appliances, clothing, food.......etc. 1. Exactly what does Mr. Willow mean when he says "the VI needs all hands on deck to defend the VI Financial Services sector as it is a legitimate and transparent business." Where is transparency he refers to? 2. BVI does not need to go independent to rip off its own people. It already is ripping off its own people. 3. Despite all the business acumen extant in the financial services industry, the BVIs is incapable of managing its own finances. There simply is no fiscal control or accountability. 4. If it does go independent, will it have the necessary financial resources to sustain itself (assuming that fiscal control and accountability are put into place. We all have seen what independence has done to many of the other Caribbean islands. You see the nationals from those independent islands flocking to islands that either remained under Britain of under the US flag or even trying their best to migrate to the US. All independence has done is to give the nationals of those independent islands the ability to push up their chests with pride but other than that it has not improved the economic situation in many of those country to any significant level. To Well sah, Independence has actually improve most of our sister English speaking Caribbean countries. (some more than others). During the 40's,50's, 60's,70's and before life was a far cry from how it is now. Racism by the U.K. elites was terrible. Blacks where bared from entering the civil service in many countries. They were bared from many opportunities to better themselves because the elites (whites) did not generally care about the well being of the majority who where descendants of slaves or indentured servants. Whilst the elites lived well, sitting and Sh&%ting on the backs of the majority, that same majority had to walk the roads bare foot and struggle to find food to eat. Today, in most independent Caribbean nations, the old elites has long been removed and most of the population no longer struggle like they did under colonial rule. In actuality, life has improved a great deal since those days and life was not necessarily better because the UK ruled them in those days. @PhD in Economics, true the populace in regional countries have had autonomy over their affairs and improve their standard of living and quality of life somewhat since acquiring independence.However, life is still a daily struggle for the masses in these countries; a few doing well but most catching hell. Governments have done a very poor job in job creation, economic growth and development, infrastructure improvement, quality healthcare .....etc. Due to limited economic opportunities, there is a skills and brains in the islands. There is mass movemnet to develop countries, i.e., UK, US, Canada.....etc. The majority of these people will return only for vacation, funerals, family reunion, weddings, carnival ......etc. For a country to grow, it needs people. Part of Puerto Rico's problem is it is losing population. Moreover, another of the regional problem is lack of unification. The region would have been better off if had continued with the federation. Instead insularity killed it. For once, Mr Willock might be one of the few up coming leaders who can bring everyone of a different creed and race together in the BVI.